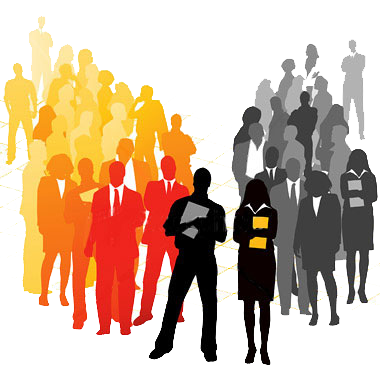 When you look for a University to enroll yourself with, you do not only look for its academic qualifications, right? You always look for the right exposure, experience, work opportunities and a secured future which the University offers. 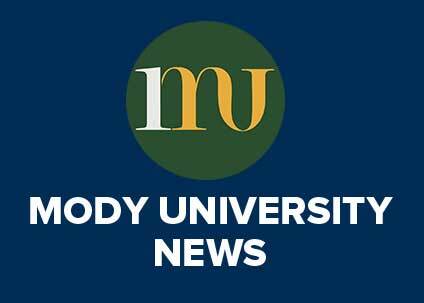 At Mody University of Science and Technology there’s no dearth of jobs and recruitment opportunities. To ensure that the students have an idea about their campus recruitment, the IT giant, Accenture Services Pvt. 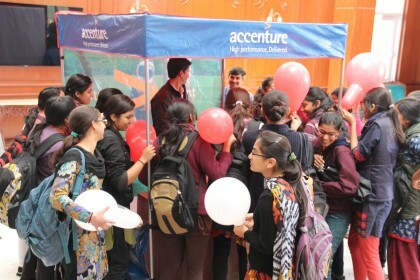 Ltd. organized, ‘Accenture Diversity Zone’ Programme, at the University in Lakshmangarh, on 3rd March, 2014. Mr. Sudhanshu K Sinha, the General Manager of Career Development Centre and the Dean FET, Prof. J V Desai, welcomed the visiting team from Accenture. In this program, the students participated and interacted with their campus recruitment team and women leaders. The leaders and young achievers at Accenture shared their experiences on what it’s like to work at Accenture and how they are able to achieve a work-life balance in the organization. 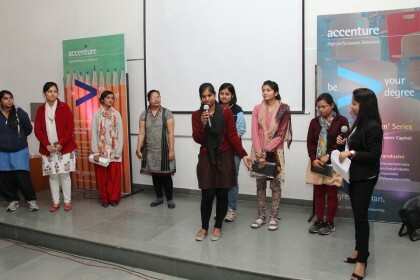 Students also registered themselves at their website through ‘Vaahini’ – an initiative of Accenture for Women in India. The 3-members’ team of Accenture praised the interpersonal and communication skills of the students of the Mody University and praised the University for its reach in excellence and advancement. A Carnival was organised at the Campus where students enjoyed and played a number of games. Students also got an opportunity to win exciting goodies during the Carnival and Games organized by them. 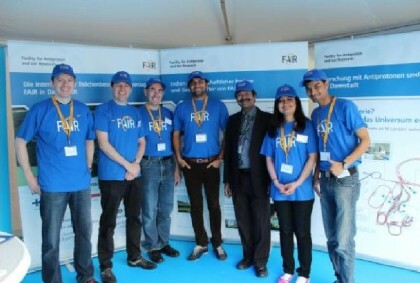 In addition, they also had some exciting contests lined up for the students during this event. Final and Pre-Final year engineering students of the Faculty of Engineering and Technology participated in the event and enjoyed with a lot of experience gained by them. The duration of the main event was around 2 hours and Accenture Carnival also continued for around 3 hours. As an organisation, Accenture stands as a pillar of approximately 2,81,000 people with diverse talents and experiences thus delivering a strong mix of capabilities and skills. The authorities from Accenture conveyed to the students’ fraternity that, Accenture respects inclusion and diversity where everyone brings distinct experience, talents and culture to his / her work, bringing together people from different backgrounds, ethnicity, and providing an equal opportunity to all, thus creating strength in diversity. As a hub of Opportunities and Excellence, Mody University of Science and Technology provides good placement services at other leading organisations like Accenture. 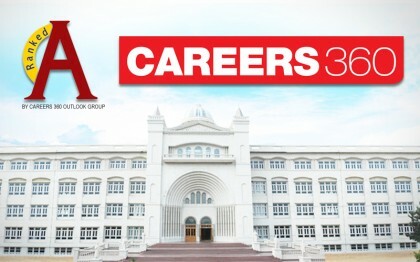 The event came to an end on a positive note and widened the students’ knowledge about campus recruitment and also served Accenture’s purpose to promote itself as a promising working organisation.